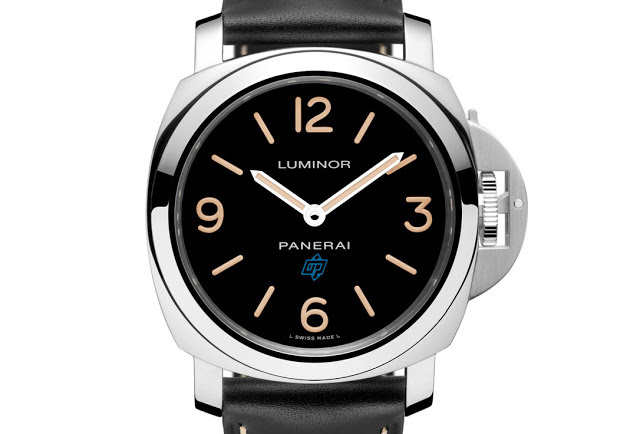 Panerai has announced a 500-piece limited edition Luminor Base Logo for the 15th anniversary of Paneristi, the brand’s enthusiast community website. Paneristi is the Panerai enthusiast website, one that has created a community, in the truest sense of the word, dedicated to Panerai. For the 15th anniversary of the site, which was founded in 2000 by Guy Verbist, Panerai has created a limited edition Luminor Base Logo (PAM00634) with a blue OP at six o’clock. The third Paneristi edition – after the PAM195, PAM360 and PAM532 – the 15th anniversary PAM634 is a Luminor equipped with the hand-wound OP I movement (which is essentially a Unitas 6497) behind a solid case back. Notably the case back is a snap-on case back, a first for a Luminor, instead of the screw-down back typical of Panerai and other dive watches. Another feature traditionalists will bemoan are the spring bars for the strap, yet another first, instead of the traditional screwed bars synonymous with Panerai. 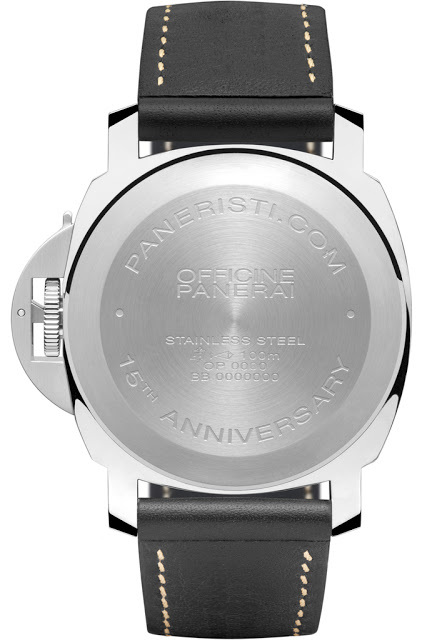 This is the first Paneristi edition that does not have a black PVD coated case, instead the 44mm case is polished steel with “Paneristi” engraved on the crown lever. Another feature unique to this edition is the blue OP logo at six o’clock. Though this is the first for a dial, the blue logo has been used widely in the SIHH 2015 collection on straps. And the Super-Luminova on the dial is ivory, approximating the look of tritium-dial, Pre-Vendome Panerai watches from the 1990s. The PAM634 is limited to 500 pieces with a retail price os US$4200, which is slightly less than the US$4900 retail price of the PAM000 “logo”, the equivalent watch from the regular collection. 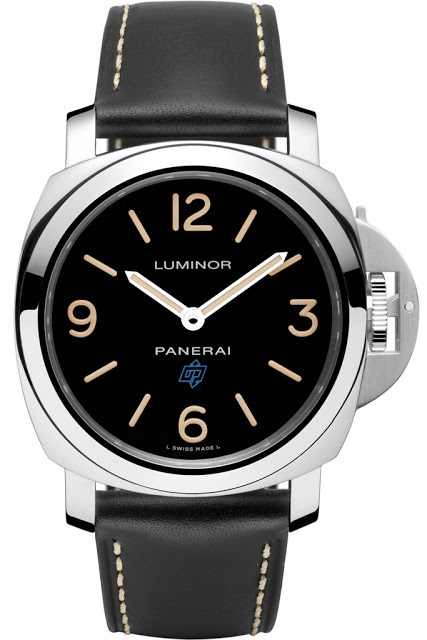 Intended primarily for active members of Paneristi, the PAM634 order process can be found on the forum. Source: Paneristi Update June 29, 2015: Edited to include snap-on back and spring bars.